The Rail hero Dhanush will appear as a cameo in his upcoming directorial film. As per the report, the lead actor is Veteran actor Raj Kiran of Power Paandi. He is playing in the character of the title role, and the debut director also shares his screen presence in the important role. A Tamil born actor has jumped into the new bucket called director. Actor Dhanush was done his debut in Hindi as an actor and doing lots of bankrolls for new innovative directors in Tamil cinema. He had lots of dreams from his teenage, in that, directing a film is also one. It is a time for that; he is now directing a movie called “Power Pandi.” This movie is expected to hit the theaters before the month of June 2017. 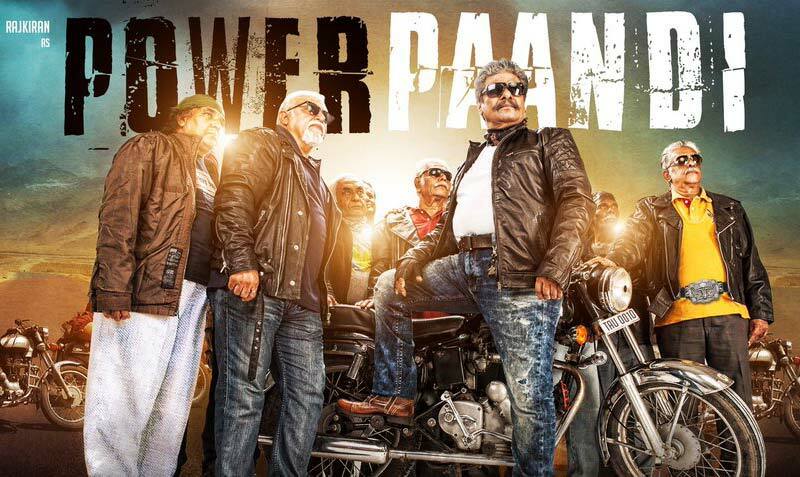 The lead role of Power Paandi, Raj Kiran play as a stuntman and the storyline is about the life of few stuntmen. Actor Prasanna and Chaya Singh also a part of this film. R. Velraj is the Cinematographer of this film. Sean Roldan is the music composer of this film. Lyrics by Dhanush and Kasthoori Raja. Stunt Silva, Poornima, Baba Bhaskar, SP Chokkalingam are also in respective departments. S. Vinod is the executive producer of this film. Actor Dhanush is the Producer and the film will out under the banner of Wunderbar Films.